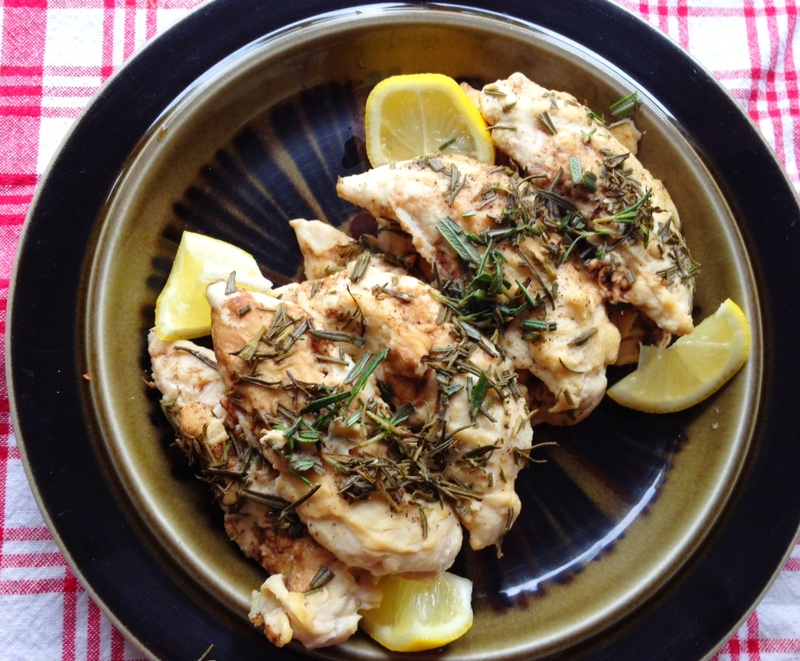 One of the quickest, healthiest, and most satisfying ways I’ve ever made chicken. Consider this a new go-to for me! Even better since I tend to get sick of dipping hummus in only veggies and crackers – chicken is just asking to be smothered in it instead! Smother some boneless, skinless chicken breasts with hummus, then top with a squeeze of lemon juice, a dash of balsamic vinegar, chopped fresh rosemary, and lemon slices. Don’t forget to season with some salt and pepper! Bake at 450F until hummus is golden brown and meat is cooked through, about 15 minutes for small tenders (what I used) and 30 minutes for full chicken breasts. Please make this for me!